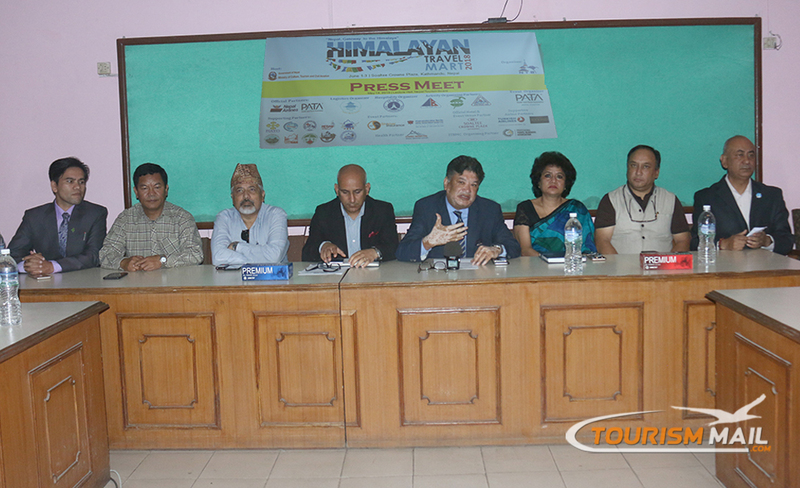 KATHMANDU, May 14 : The 2nd Himalayan Travel Mart, 2018 will be organised here on June 1 with the aim to establish Nepal as an entrance to the Himalaya area, and explore its opportunities of tourism across the world, said the organiser at a press conference in the Kathmandu on Monday. To be organised by the Nepal Tourism Board (NTB) in collaboration with Nepal Airlines Corporation, the three-day Mart will see the participation of traders from 151 countries including Nepal, said they said. Fifty six buyers from various 28 countries will also participate. The Ministry of Culture, Tourism and Civil Aviation will host the trade fair, and Pacific Asia Travel Association is executive organiser. Speaking at the meeting, Executive Officer of the NTB Dipak Raj Joshi said the fair will bring together international traders, and help expand a network for promoting country's trade, establish country as tourist destination and attract foreign tourists. President of PATA Nepal Chapter Sunil Shakya said the Mart would also help realise country's plan to increase tourists to 50,000 a year by 2030 AD.